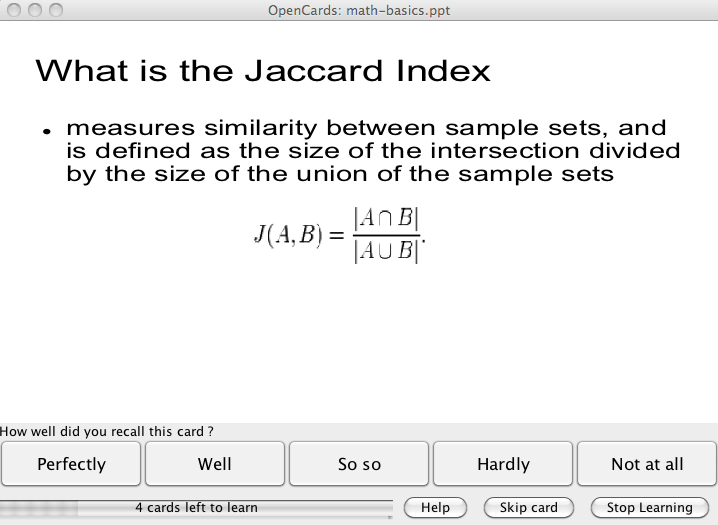 OpenCards is a free award-winning flashcard learning software. 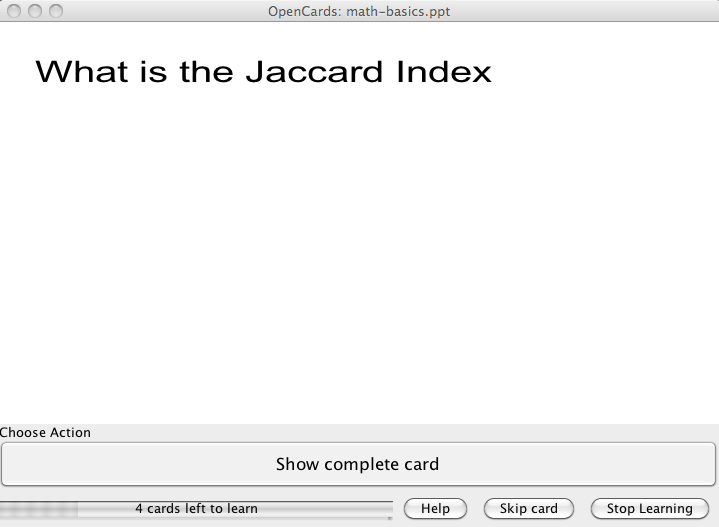 The basic idea of OpenCards is to use PowerPoint presentations (*.ppt) or Markdown (*.md) files as flashcard sets. Thereby, slide-titles are represented as questions and the slide contents as their answers. 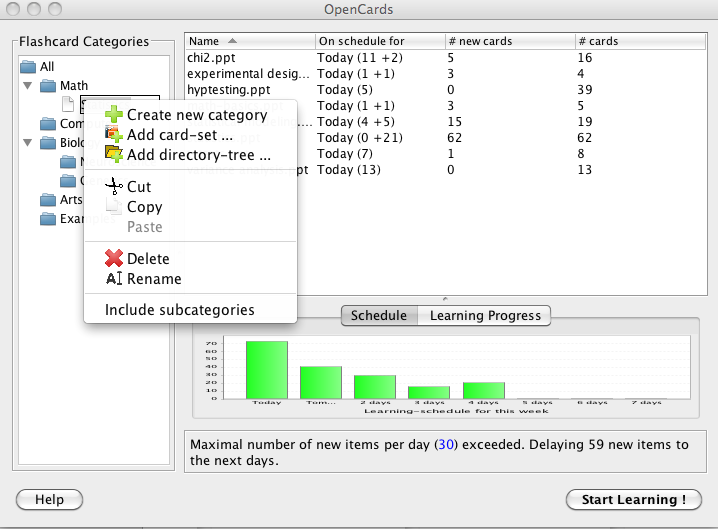 Based on state-of-the-art memorization and scheduling algorithms OpenCards will help you to learn any set of flashcards. Basically OpenCards gives you any freedom you enjoy when creating PowerPoint-slides. OpenCards just adds all functionality which turn any existing Powerpoint presentation into flashcards. From our experience most other flashcard learning tools are overly complex. In contrast we’ve tried to keep OpenCards as simple as possible, to allow you to focus on your learning items that really matter for you. 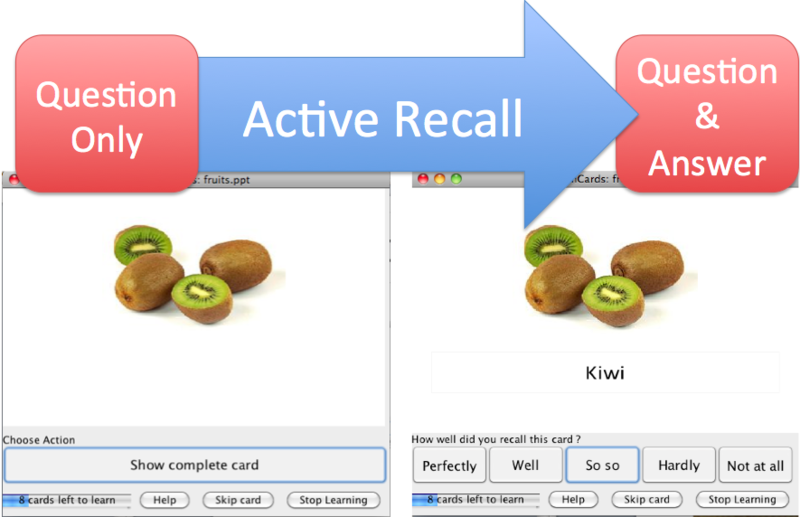 Intelligent learning algorithms that know when you should review which flashcards. Absolutely free and open source! No spyware or ads. 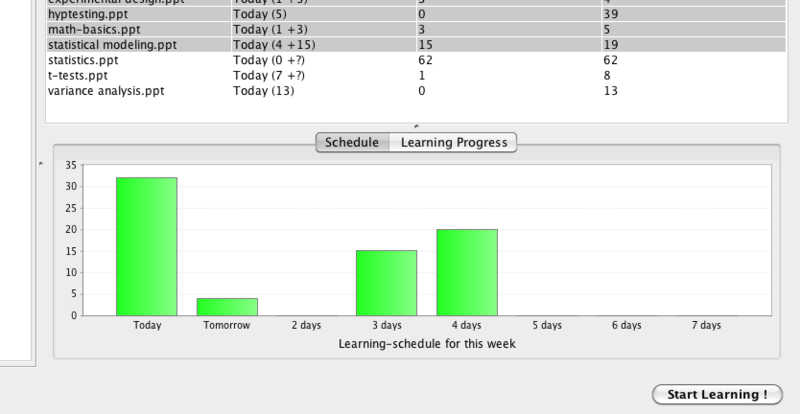 Customize the learning procedure based on your individual learning habits. Localized to many languages including German, French, Dutch, Spanish, Italian, Greek, Portuguese, Bulgarian and many more. 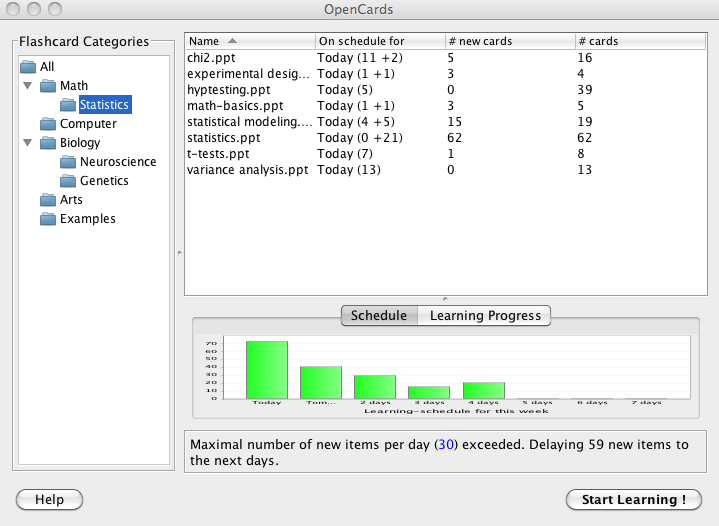 For the more geeky minds, OpenCards also supports MarkDown flashcards sets. Given all these features we consider OpenCards to be the most advanced, most feature-complete but anyway most intuitive flashcard-learning software available. The category view in OpenCards allows to group flashcard sets into meaningful categories. This LTM mode will provide the best results if you want to root knowledge for months up to years in your brain. Allows you to quickly memorize facts and figures using a set of virtual boxes depending on your ability to recall stuff.